12/28/18 FYSF, Win a Buttons OS Cover + 2 Daytime Inserts! This week we're giving you a chance to win a Buttons OS Diaper Cover of your choice from our in stock selection, plus TWO Daytime Inserts! 12/21/18 FYSF, Win a SmartBottoms Sweater Set! 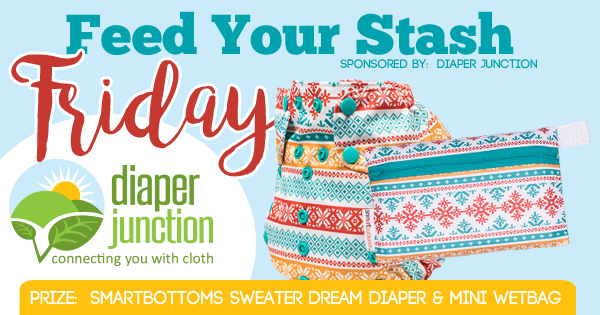 This week one lucky winner will receive a Smart Bottoms Sweater Dream Diaper and matching Sweater Mini Wetbag! 12/14/18 FYSF, Win a Lalabye Baby OS Diaper of your choice! It's a great week to enter to win! This week one lucky winner will receive a Lalabye Baby OS Diaper of their choice from our in-stock selection. 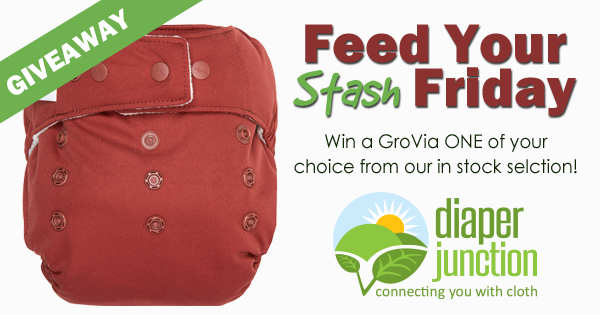 12/7/18 FYSF, Win a GroVia ONE Diaper of your choice! Today we're giving you the chance to win a GroVia ONE One Size Cloth Diaper of your choice from our in stock selection!